November 3, 2014 – A group of seven highly specialized Oracle Partners, committed to deliver high quality Oracle Technology based projects around the world, have agreed to join forces in an collaborative alliance – the Red Expert Alliance (REAL), which will be announced on November 3rd, 2014. The Red Expert Alliance (REAL) was created with a vision that together we are stronger, that each other’s strengths are amplified and our individual less strong points are diminished by a larger team that compensates them. By combining their Oracle expertise, specialized manpower and resource availability, REAL members will allow their customers to take full advantage of a combined workforce, composed of some of the world’s best experts in Oracle Technologies, including a significant number of Oracle ACE Directors, ACEs and ACE Associates, a shared knowledge base, specialized tools and a very significant number of highly skilled and experienced Oracle Certified Specialists. 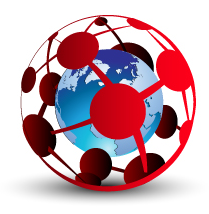 Read the full press release on the RED Expert Alliance, a network of Oracle Specialists. The Red Expert Alliance (REAL) is proud to have amongst their ranks some of the top leading Oracle experts in the world, real technology gurus who have delivered hundreds of projects worldwide and that work closely with Oracle’s product managers, helping their customers’ projects and feeding back real world customer needs and experiences that will help shape tomorrows product releases. The alliance members cover 5 continents, allowing a wide reach, easy access to almost anywhere in the world. This opens up a new range of opportunities, like distributed deployment with local support, multi-site technical training, local technical assessment, local legal issue management, and more. We are always closer to our customers. Elastic capacity for projects. It’s like having your own Oracle Certified Specialists cloud. One of the biggest advantages that the Red Expert Alliance (REAL) offers is the availability of a large number of highly skilled, certified Oracle specialists. This means that we are able to introduce an elastic capacity in our customers’ projects, scaling up according to the needs. It’s like having access to a very special cloud: a Certified Specialists cloud. Projects use what they need, when they need it. This flexibility is very hard to achieve with such a high degree of specialized resources. With a shared knowledge base, specialist expert tools made available by each alliance member, and a network of people that extends its reach by more than a tenfold, comparing to each individual member, REAL offers all the capacity that a project may need, at any time. With such a cultural diversity, our members are able to join their insights, thinking of possibilities that, because of their own cultural boundaries, they would not even consider, passing on these ideas into our customers’ projects. The Red Expert Alliance (REAL) encourages and promotes employees’ project exchange programs, contributing also to improving the work environment and peoples’ motivation.